Get a Customized List of Tampa Bay Homes within 24 Hours! 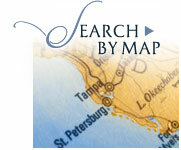 Looking for a specific style of home, a particular city, or neighborhood in the Tampa Bay area? 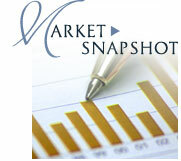 Looking for a home to buy or a rental home? Or just don't have time to search? Complete the short form below and within 24 hours we will send you a customized list of homes with photos, descriptions, and virtual tours. Because we have direct access to the Tampa Bay MLS and an in-depth knowledge of current homes for sale in the Tampa area, and those soon to hit the market, we are able to find what you're looking for — quickly, so you get there first — even when listing information is missing or incomplete. Are you Pre-Approved for a mortgage or loan? * -Please Select- Yes No No, please refer me to someone good! What is prompting your move? Are you interested in any particular communities or neighborhoods? Do you need to live in any particular school district(s)? Is there a particular view you are seeking (e.g., skyline, lake, downtown)? Do you need to be contacted on a specific date/ time?